Winchester Guitar Festival 2011 is proud to announce their guest artist is the award winning Grammy artist and LAGQ founder member William Kanengiser who will be making his UK solo debut. 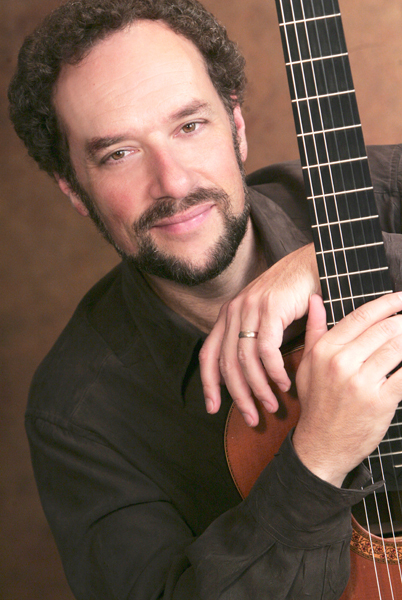 As a founding member of the Los Angeles Guitar Quartet, William Kanengiser tours extensively throughout North America, Asia, and Europe, and has recorded for the GHA, Delos, and Sony Classical labels. Their 2004 Telarc release LAGQ’s Guitar Heroes won a Grammy for Best Classical Crossover Album. The latest release, Spin, features an original composition by Mr. Kanengiser for four guitars, “Turn to the Sea.” LAGQ recently released a live concert DVD for Mel Bay Publications, LAGQ LIVE! and will record a CD of Brazilian music with jazz singer Luciana Souza in 2007. Beyond his work with LAGQ, William has performed chamber music at festivals and concerts with a wide range of noted artists and ensembles, including the Miami String Quartet, the Vermeer Quartet, flutist Marina Piccinini, pianist Mia Chung, violinist Maria Bachmann, and recorder artist Aldo Abreu. He won First Prize of the 1987 Concert Artists Guild Competition as well as major international competitions in Toronto (1981) and Paris (1983). The recipient of two Solo Recitalist Fellowships from the National Endowment for the Arts, he was also chosen as one of Musical America’s Outstanding Young Artists. A member of the guitar faculty at the USC Thornton School of Music in Los Angeles since 1983, he has given master classes at conservatories and guitar festivals around the world. Born in Orange, New Jersey, Mr. Kanengiser studied at the University of Southern California, being named Outstanding Graduate of the School of Music upon the completion of both his Bachelor’s and Master’s degrees. His principal teachers were Malcolm Hamilton, Pepe Romero, and James F. Smith.